Search engine optimization (SEO) is the process of optimizing your website to receive best results in search engines such as Google, Bing, Yahoo and others. The better job you have done in search engine optimization the higher your company’s website will appear when people search for your type of business or products and services. Therefore more people are likely to see you online. Many factors determine your SEO results: a well made website; keywords and descriptions built into the coding of your website pages; your social media pages and website linked to one another; the quality, amount and content on your website; links and other web pages that talk about your business; and more. Google and other browsers apply their criteria in an effort to learn how relevant and prominent you are and rank you accordingly. Winning the Pulse of the City Customer Satisfaction Award is great for your SEO. 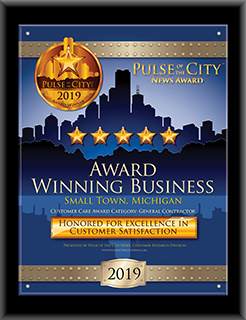 Not only are you listed in the Pulse of the City directory, but we also post about your company and the award you’ve won on our Facebook page. If you take our post and share it, or link to your Star Page, this drives even better rankings in search engines and in turn brings customers to your website. You can further increase your SEO with the Pulse Award press release package. Your custom press release is written by our editorial staff using keywords and links optimized for search engine performance. This drives customers from the press release to your website, and you can also link the press release to your social media pages to further spread the news. This is just one of many ways we can help with SEO; it’s a part of everything we do when speaking about your company via press releases, articles, our website and more. If interested, contact a Pulse customer marketing specialist at 866-732-9500 or customercare@PulseoftheCityNews.com.